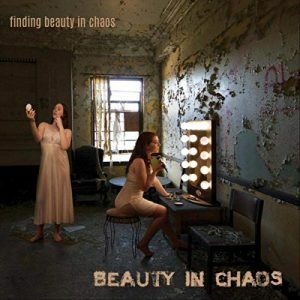 The brainchild of Human Drama/Gene Loves Jezebel guitarist Michael Ciravolo, Beauty In Chaos is a goth-tastic supergroup project that brings together legendary names from the likes of The Mission, The Cure, Gene Loves Jezebel, Cheap Trick and Ministry to contribute on their debut album ‘Finding Beauty In Chaos’. Influenced by the like of My Bloody Valentine, The Cocteau Twins and Lush, the LA-based guitar slinger hooked up his delay and reverb pedals joined forces with Ministry producer Michael Rozon and set about creating soundscapes rich in gothic goodness. Then enlisted the help of various musical acquaintances, such as Michael Aston, Wayne Hussey and Al Jourgensen, to add their own unique talents. Opener ‘Road To Rosario’ sets the scene. With Michael Aston taking lead vocals, it unsurprisingly comes on like a lost Gene loves Jezebel cut as haunting, effect-ridden guitars weave in and out between a pounding bass line and lush distinctive vocals. A crisp production job ensures no sound goes unnoticed as guitars and vocals build in unison to create a killer opener. Up next, ‘The Storm’ is the first of a trio of tracks to feature The Awakening main man Ashton Nyte on vocals. Atmospheric and emotive old school Goth, just the way we like it, baby! Later on, he opens his dark soul on the nomadic, Eastern tinged ‘Bloodless & Fragile’ and the moody closing title track. These tracks would not sound out of place on The Crow soundtrack. Al Jourgensen lends his dulcet tones to an industrial tinged take on T Rex’s ‘20th Century Boy’ and pulls it off with ease, while the unmistakable vocals of The Mission main man Wayne Hussey are perfect for ‘The Long Goodbye’ and the simply enthralling ‘Man Of Faith’ (also featuring the talents of The Cure bassist Simon Gallup), possibly the stand out tune of the day for me. Human Drama vocalist Johnny Indovina adds ethereal Bowie textures to ‘Memory Of Love’ and Ville Valo romanticism to ‘Beauty Lies Within’. There’s a couple of unexpected diamonds in amongst the black ashes that permeate this collection of dark, gothic goodness. Namely, the power pop of ‘Drifting Away’, featuring an on form Robin Zander and top backing vocals courtesy of a certain Michael Anthony amongst others. Then Dug Pinnick and Ice T pump up the volume to industrial levels for ‘Un-Natural Disaster’, a song that retains the de-tuned, grungy feel of King’s X, while the spoken word rap of Ice T takes things down a darker street. Collaborative musical projects run the risk of losing direction and focus, but Ciravolo takes the signature sound of each vocalist and adds his own textures to create an outstanding work of art that is both dark and cinematic and flows as a complete album. 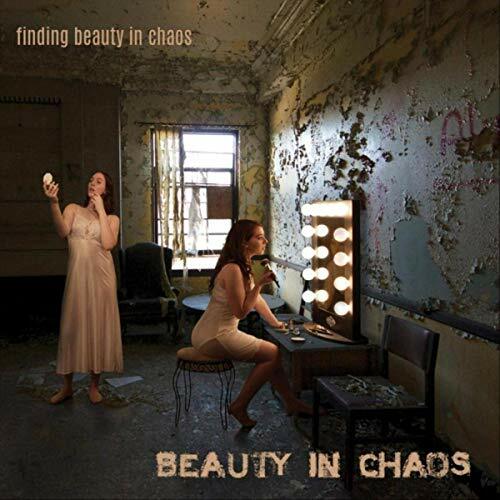 ‘Finding Beauty In Chaos’ is an album that celebrates the alternative late 80’s and puts a modern, edgy twist on a genre that has a place in the dark hearts of rockers, ravers and lovers the world over.